These Sandwiches are crafted with only the freshest ingredients piled atop our soft and flaky french bread, and then toasted to perfection in our pizza ovens. 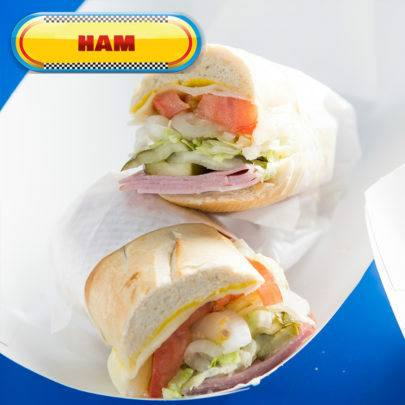 This fully loaded Ham Sandwich is packed full of fresh lettuce, tomato, onions, pickles, may, mustard and your Choice of Cheese. 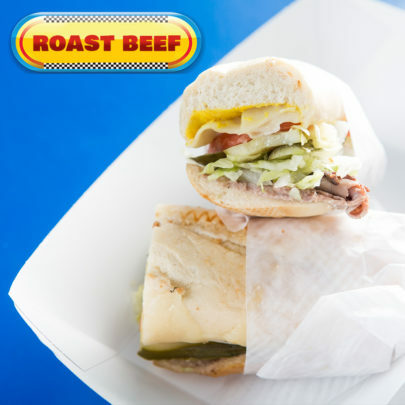 This Roast Beef Sandwich will be a YUMMY addition to your Mini Gran Prix experience! Your Choice of Cheese. lettuce, tomato, onion, pickle, mayo, or mustard. This Sandwich is loaded with fresh lettuce, tomato, onion, pickle, mayo, or mustard which makes it taste absolutely desirable! Our famous B.L.T. is a must try! 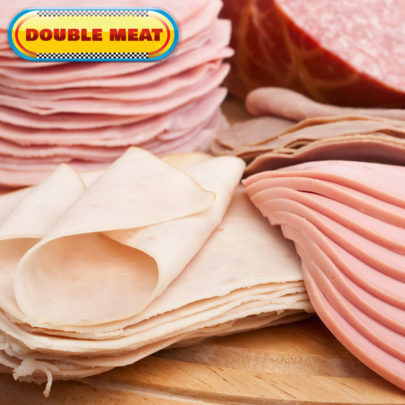 A fan favorite for many years…Loaded with fresh lettuce, tomato, onion, pickle, mayo, or mustard. 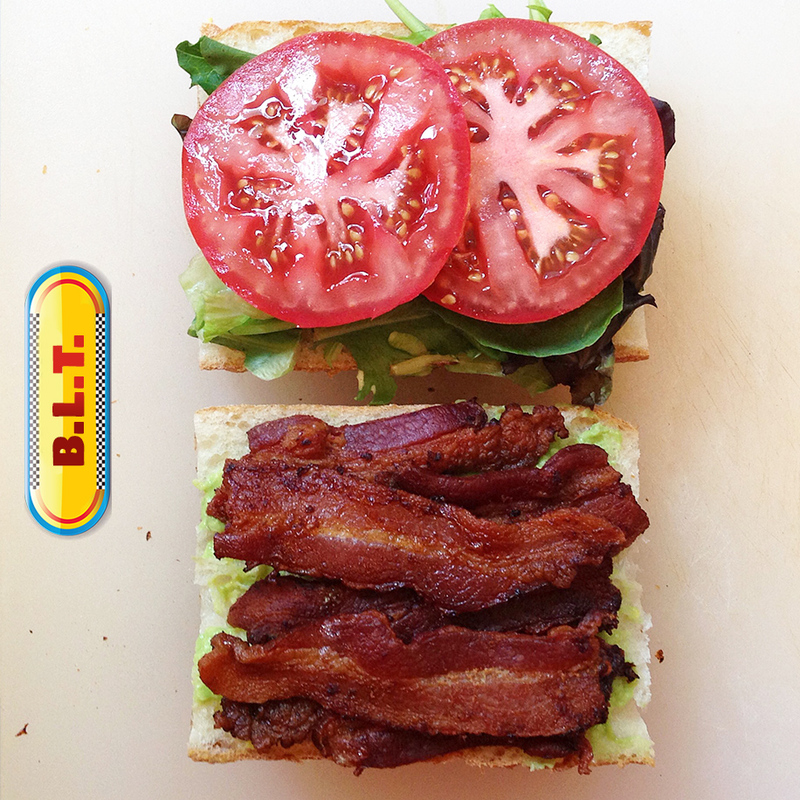 Our bacon is simply..Crispy perfection! Your Choice of Cheese. 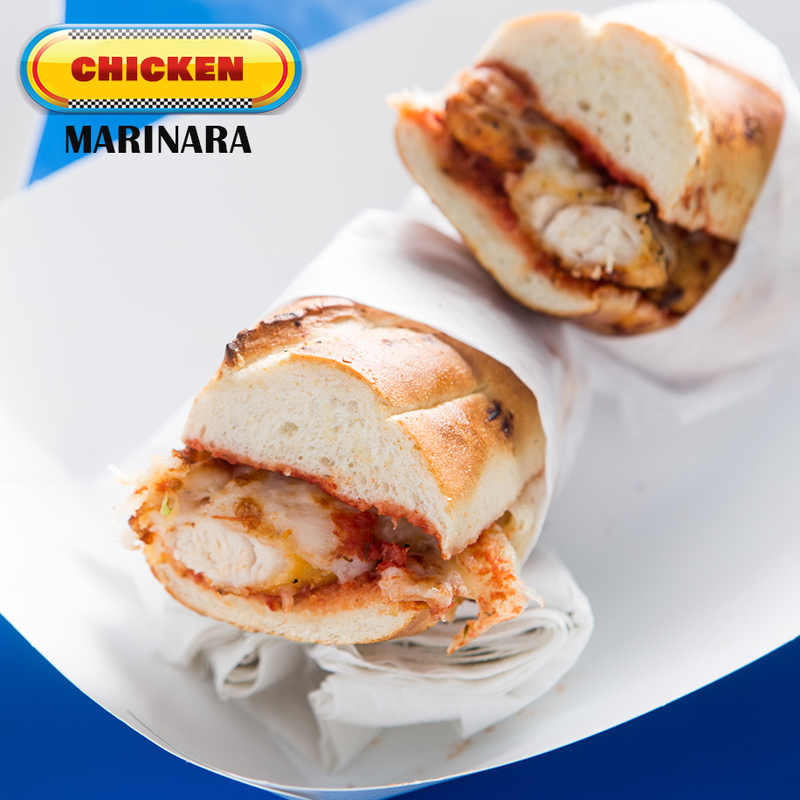 Seasoned to perfection, crispy and amazingly juicy, making it one of the best chicken sandwiches in the best possible way! Your Choice of Cheese. lettuce, tomato, onion, pickle, mayo, or mustard. 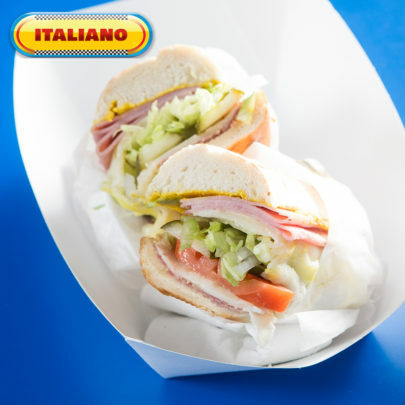 Considered the Ferrari of Sandwiches! Loaded with Pepperoni, Genoa Salami, Ham Your Choice of Cheese. lettuce, tomato, onion, pickle, mayo, or mustard. Mama mia, Che Bello!